This week we have seen a new standard set for eSook sales, specifically those for Amazon’s(NASDAQ:AMZN) Kindle. 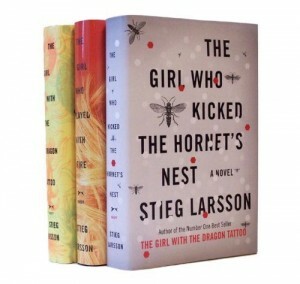 Stieg Larsson’s Millennium trilogy, which we recently mentioned in a review of the Kindle Editions, has now sold over One Million copies for the Kindle alone. This comes just weeks after James Patterson’s amazing announcement that he had hit over a million eBooks in general between all formats. All three of Larsson’s books are among the Top 10 Bestselling Kindle Editions of all time, according to Amazon, have places on the New York Times and international Bestsellers Lists, and have met with rave reviews seemingly everywhere they have been encountered. This only serves to emphasize for us how the shifts in the way the publishing industry operates are going to effect us as time moves on. First we have Kindle book sales overtaking hardcovers, now we have authors managing to sell in the millions of copies range. It is becoming increasingly clear that while print is far from dead, there is little chance for the traditional model to reassert itself. As time goes on and more authors find themselves members of this exclusive group, we can only hope that the achievement will continued to be noted, both for these authors and for the eBook industry in general. It can’t be seen as anything but truly impressive. This entry was posted in Amazon, E-Books, Kindle Sales and tagged Kindle Editions, Million Sold, Stieg Larsson by matthew. Bookmark the permalink. With the author incentives offered by Amazon, it’s only a matter of time before authors reallize that there’s more money to be made with ebooks than paper. Maybe then the publishers will wake up and stop trying to fight progress.